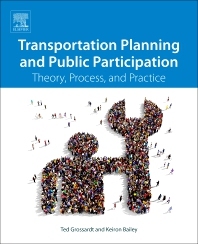 Transportation Planning and Public Participation: Theory, Process, and Practice explains why, and then how, transportation professionals can treat public participation as an opportunity to improve their projects and identify problems before they do real damage. Using fundamental principles based on extensive project-based research and insights drawn from multiple disciplines, the book helps readers re-think their expectations regarding the project process. It shows how public perspectives can be productively solicited, gathered, modeled, and integrated into the planning and design process, guides project designers on how to ask the proper questions and identify strategies, and demonstrates the tradeoffs of different techniques. Readers will find an analytic and evaluation framework - along with process design guidelines - that will help improve the usefulness and applicability of public input. 10. What Is To Be Done? Ted Grossardt is the founder and president of VoxPopuli. He currently consults on a range of public infrastructure planning and design projects and teaches graduate courses in transportation planning and public participation. He served as the Decision Support Systems Research Manager at the University of Kentucky’s Transportation Research Center for 15 years, where he and Dr. Bailey formed their foundational collaboration. He continues to deliver public participation workshops to engineers and planners throughout the US and Europe. Keiron Bailey is an Associate Professor in the School of Geography and Development at the University of Arizona. He delivers national and international public engagement workshops, training classes, seminars and presentations, and he collaborates with governments, NGOs, and private industry on public involvement protocols. His work has been instrumental in numerous transportation and land use planning, transit-oriented development, and highway safety design projects.